Automatic Vision Object Tracking #piday #raspberrypi @Raspberry_Pi « Adafruit Industries – Makers, hackers, artists, designers and engineers! This is my first experience with OpenCV and I must confess, I am in love with this fantastic “Open Source Computer Vision Library”. 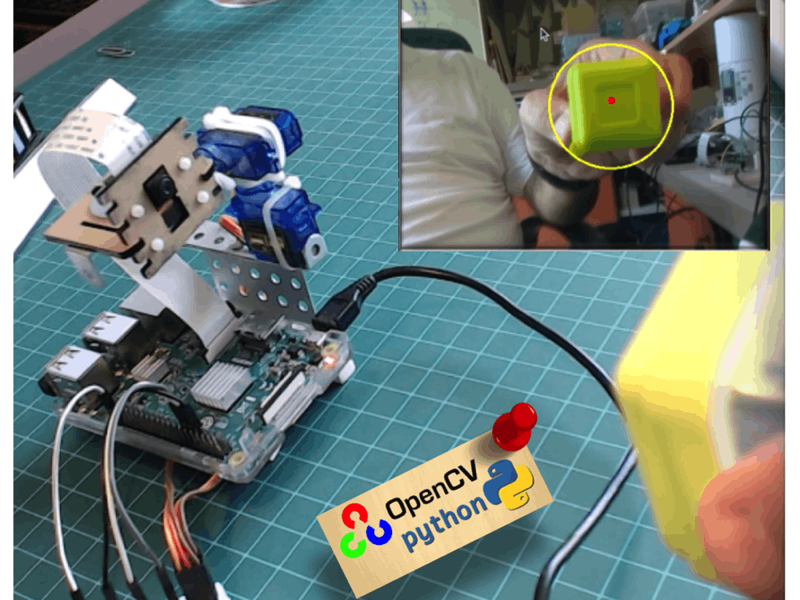 OpenCV is free for both academic and commercial use. It has C++, C, Python and Java interfaces and supports Windows, Linux, Mac OS, iOS and, Android. On my series of OpenCV tutorials, we will be focusing on Raspberry Pi (so, Raspbian as OS) and Python. OpenCV was designed for computational efficiency and with a strong focus on real-time applications. So, it’s perfect for Physical computing projects!